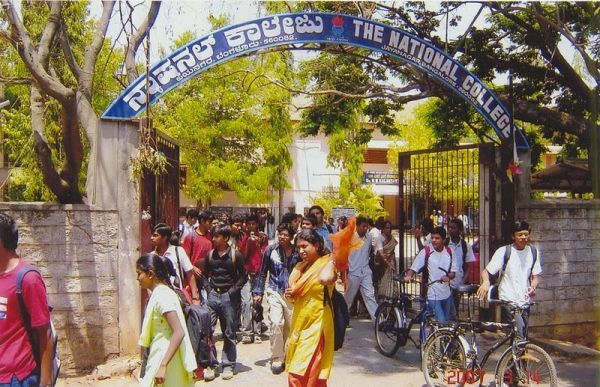 The National Degree College, Jayanagar, Bangalore, an autonomous college, is one of the fifteen institutions, being managed by the National Education Society of Karnataka. The Society was established in 1917 with nationalist ideals as the driving force. The College was started in 1965 with a humble strength of 110 in the Pre- University Course and now it has grown into a leading institution of higher learning in General Education. The College has several achievements to its credit in the academic field as well as extracurricular activities. The College offers courses in B.A, B.Sc. B.Com and B.C.A. 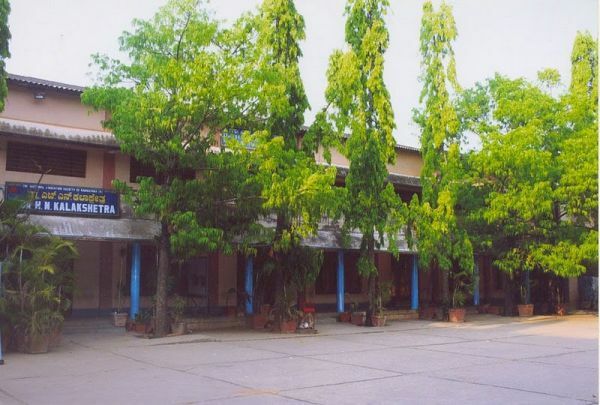 It has well equipped laboratories, a good computerised library and a vast sports field. Opportunities are provided to students to express their talents in Fine Arts and Popular Science. The College campus has a closed auditorium, Dr. H.N. Kalakshetra, an open air auditorium attached to it, and B.V. Jagadeesh Science Centre as centres of Culture and Science respectively which provide the necessary fora for nurturing the inherent capabilities of the students.